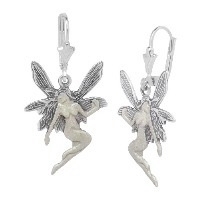 Hand finished Engraved Pewter hair-slides with rhodium-plated stainless steel sprung clasp. 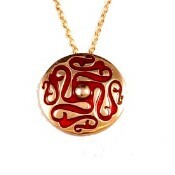 Clockwise and anticlockwise spirals represent the inner and outer evolution of the spirit respectively. In relation to the seasonal calendar these relate to the winter and summer, the year being polarised into light and dark seasons. In Celtic belief this translates to the theme in which one always moves from the darkness into the light. Hand finished Celtic knotwork design hair slides with rosewood pin. 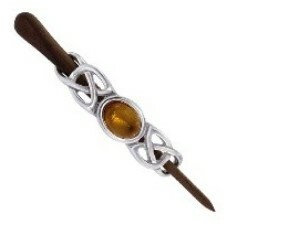 Hand finished Celtic knotwork design hair slides containing a large Amber cabochon with rosewood pin. 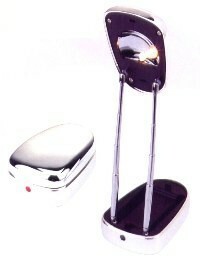 Finish: Solid Polished Pewter with Amber Gemstone. 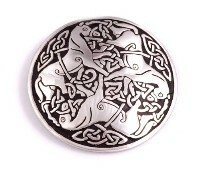 Hand finished Pewter Lindisfarne inspired design hair-slide with rhodium-plated stainless steel sprung clasp. 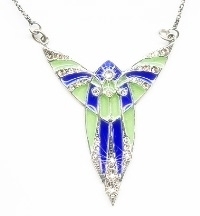 The Lindisfarne design on this item comes from the famous Lindisfarne Gospels. An opulent and richly decorated Gospel book, the Lindisfarne Gospels was created in the early eighth century CE for ceremonial use at the monastery of Lindisfarne in the northeast of England. The manuscript's main text, which was written out by a single scribe, is a Latin version of the Four Gospels known as Saint Jerome's Vulgate. This is a revision of the Latin Bible made in the late fourth century CE and widely used throughout the western world. 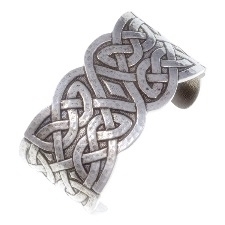 Hand finished Pewter knotwork design hair-slide with rhodium-plated stainless steel sprung clasp. The Celts believed birds to be magical celestial messengers. The raven symbolises prophecy, the pheasant symbolises good fortune and the partridge is a symbol of cunning. Doves are sacred to all mothers goddesses and symbolise peace and love. 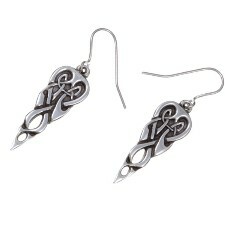 Hand finished Embossed Pewter Celtic knotwork design hair-slides with rhodium-plated stainless steel sprung clasp. 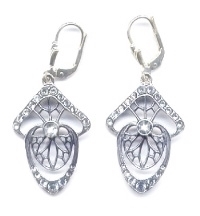 Hand finished Pewter fleur-de-lys design hair-slide with rhodium-plated stainless steel sprung clasp. 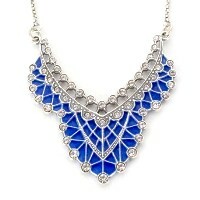 Fleur-de-lys is literally translated from French as flower of the lily. The fleur-de-lys have appeared in the artwork from the earliest civilizations. It has consistently been used as a Royal emblem. 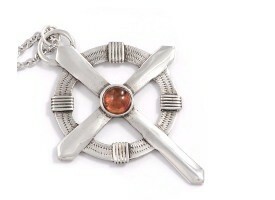 Hand finished Pewter Celtic knot and wolf's head hair grips with clear Swarovski crystal eyes with rosewood pin. 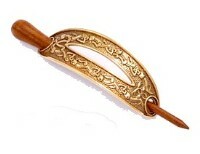 Hand finished Bronze hair-slide with embossed zoomorphic design and Rosewood pin. Design inspired by a gold sword hilt found amongst the Staffordshire Hoard. Hand finished Pewter Lugh's Knot Hair Bands / Hair Ties.